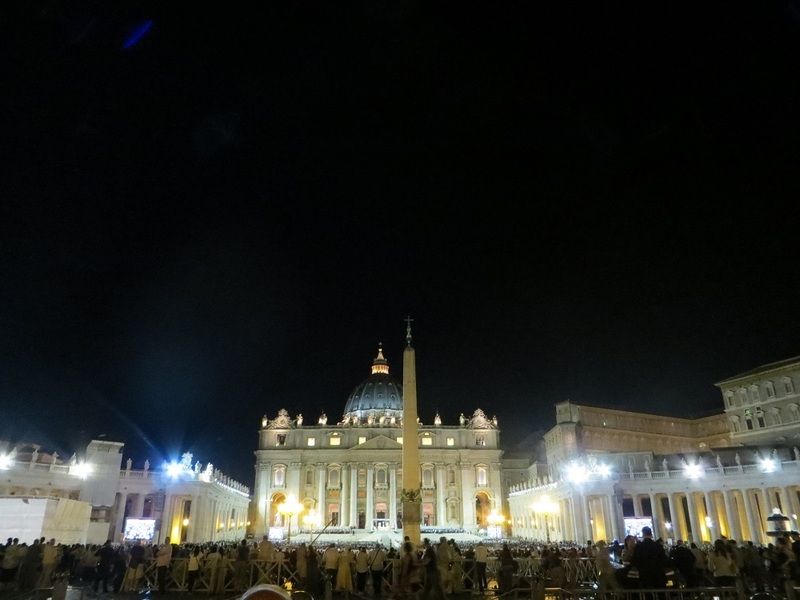 The Pope organized a Peace Rally in St. Peter’s Square, and we were fortunate enough to be in Rome at the time. It was the most amazing experience. The square was filled with people, 1000’s and 1000’s of people. People spoke up on the diaz and there were cameras taping it all and putting it up on 2 huge screens. Since we had arrived late, having had prior commitments, we assessed what was around us. We weren’t sure the pope was there, and really what to expect, until the Pope stood up and spoke. He called for a period of silent prayer. Some people kneeled on the cobblestones, some people stood, I sat. Connecting with the warm stone, head bowed in prayer for peace. The world was silent at that moment. Nobody made a sound. No cars. No babies crying. Complete silence. I connected with the earth and the people there and the world around me. It was the most amazing spiritual experience! Being in St. Peter’s Square with the pope and so many people who all want peace in the world. I still tear up just thinking about it. Thank you to Ginger for the pictures since my phone had died early in the day and I forgot to grab the camera. What an amazing experience to be a part of such an important moment in the history of the church and the world. 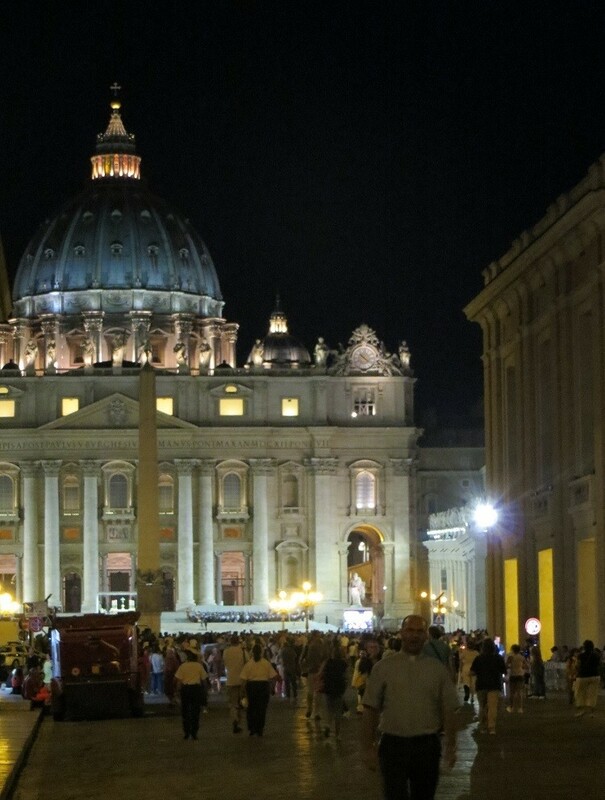 Ginger’s photo captures the quiet, magical beauty of the night of prayer at St. Peter’s. Such a moving experience to begin our time in Rome.